I spoke at the United Nations back in May, explaining that more government was the wrong way to help the global economy. As you can probably guess, what they’re really searching for is more money for global redistribution. But here’s the most worrisome part of their proposal: they want the UN to be in charge of collecting the taxes, sort of a permanent international bureaucracy entitlement. I’ve written before about the UN’s desire for tax authority (on more than one occasion), but this new report is noteworthy for the size and scope of taxes that have been proposed. Below is some of what the report has to say about a few of the various tax options. We’ll start with the carbon tax, which I recently explained was a bad idea if it were to be imposed on Americans by politicians in Washington. It’s a horrible idea if imposed globally by the kleptocrats at the UN. …a tax of $25 per ton of CO2 emitted by developed countries is expected to raise $250 billion per year in global tax revenues. 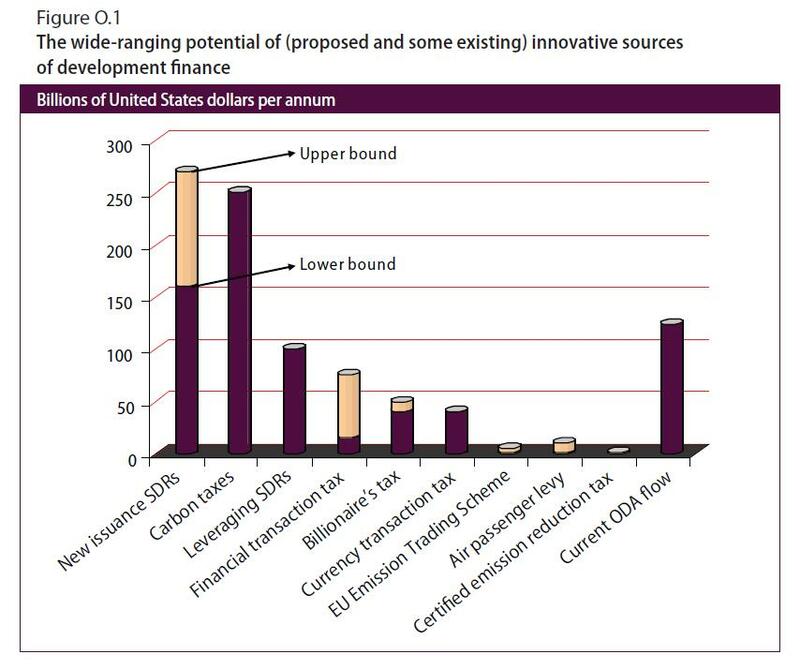 Such a tax would be in addition to taxes already imposed at the national level, as many Governments (of developing as well as developed countries) already tax carbon emissions, in some cases explicitly, and in other cases, indirectly through taxes on specific fuels. Notice that the tax would apply only to “developed countries,” so this scheme is best characterized as discriminatory taxation. If Obama is genuinely worried about jobs being “outsourced” to developing nations like China (as he implies in his recent attack on Romney), then he should announce his strong opposition to this potential tax. A small tax of half a “basis point” (0.005 per cent) on all trading in the four major currencies (the dollar, euro, yen and pound sterling) might yield an estimated $40 billion per year. …even a low tax rate would limit high-frequency trading to some extent. It would thus result in the earning of a “double dividend” by helping reduce currency volatility and raising revenue for development. While a higher rate would limit trading to a greater extent, this might be at the expense of revenue. This is an issue that already has attracted my attention, and I also mentioned that it was a topic in my meeting with the European Union’s tax commissioner. But rather than reiterate some of my concerns about taxing financial consumers, I want to give a bit of a compliment to the UN: the bureaucrats, by writing that “a higher rate … might be at the expense of revenue,” deserve credit for openly acknowledging the Laffer Curve. By the way, this is an issue where both the United States and Canada have basically been on the right side, though the Obama administration blows hot and cold on the topic. Now let’s turn to the worst idea in the UN report. Its authors want to steal wealth from rich people. But even more remarkable, they want us to think this won’t have any negative economic impact. …the least distorting, most fair and most efficient tax is a “lump sum” payment, such as a levy on the accumulated wealth of the world’s richest individuals (assuming the wealthy could not evade the tax). In particular, it is estimated that in early 2012, there were 1,226 individuals in the world worth $1 billion or more, 425 of whom lived in the United States, 90 in other countries of the Americas, 315 in the Asia-Pacific region, 310 in Europe and 86 in Africa and the Middle East. Together, they owned $4.6 trillion in assets, for an average of $3.75 billion in wealth per person. A 1 percent tax on the wealth of these individuals would raise $46 billion in 2012. But here’s some news for the UN: rich people aren’t stupid (or at least their financial advisers aren’t stupid). So you might be able to engage in a one-time act of plunder, but it is naiveté to think that this would be a successful long-term source of revenue. For more information, I addressed wealth taxes in this post, and the argument I was making applies to a global wealth tax just as much as it applies to a national wealth tax. Now let’s conclude with a very important warning. Some people doubtlessly will dismiss the UN report as a preposterous wish list. In part, they’re right. There is virtually no likelihood of these bad policies getting implemented any time in the near future. But UN bureaucrats have been relentless in their push for global taxation, and I’m worried they eventually will find a way to impose the first global tax. And if you’ll forgive me for mixing metaphors, once the camel’s nose is under the tent, it’s just a matter of time before the floodgates open. The greatest threat is the World Health Organization’s scheme for a global tobacco tax. I wrote about this issue back in May, and it seems my concerns were very warranted. Those global bureaucrats recently unveiled a proposal—to be discussed at a conference in South Korea in November—that would look at schemes to harmonize tobacco taxes and/or impose global taxes. The World Health Organization (WHO) is considering a global excise tax of up to 70 percent on cigarettes at an upcoming November conference, raising concerns among free market tax policy analysts about fiscal sovereignty and bureaucratic mission creep. In draft guidelines published this September, the WHO Framework Convention on Tobacco Control indicated it may put a cigarette tax on the table at its November conference in Seoul, Korea. …it is considering two proposals on cigarette taxes to present to member countries. The first would be an excise tax of up to 70 percent. …The second proposal is a tiered earmark on packs of cigarettes: 5 cents for high-income countries, 3 cents for middle-income countries, and 1 cent for low-income countries. WHO has estimated that such a tax in 43 selected high-/middle-/low-income countries would generate $5.46 billion in tax revenue. …Whichever option the WHO ends up backing, “they’re both two big, bad ideas,” said Daniel Mitchell, a senior tax policy fellow at the Cato Institute. …Critics also argue such a tax increase will not generate more revenue, but push more sales to the black market and counterfeit cigarette producers. “It’s already a huge problem,” Mitchell said. “In many countries, a substantial share of cigarettes are black market or counterfeit. They put it in a Marlboro packet, but it’s not a Marlboro cigarette. Obviously it’s a big thing for organized crime.” …The other concern is mission creep. Tobacco, Mitchell says, is easy to vilify, making it an attractive beachhead from which to launch future vice tax initiatives. It’s my final comment that has me most worried. The politicians and bureaucrats are going after tobacco because it’s low-hanging fruit. They may not even care that their schemes will boost organized crime and may not raise much revenue. They’re more concerned about establishing a precedent that international bureaucracies can impose global taxes. I wrote the other day about whether Americans should escape to Canada, Australia, Chile, or some other nation when the entitlement crisis causes a Greek-style fiscal collapse. But if the statists get the power to impose global taxes, then what choice will we have? Law of the Sea Treaty: A Tool to Combat Iran, China, and Russia? Every few years, the Law of the Sea Treaty rears its head as a one-size-fits-all solution to a host of current maritime problems. This time, Secretary of Defense Leon Panetta and General Martin Dempsey, chairman of the Join Chiefs of Staff, are urging the Senate to ratify the treaty. The officials claim it will act as a tool to deal with aggressive actions by Iran, China, and Russia. But as I have long argued, no matter the current rationale for the treaty, it represents a bad deal for the United States. Iran is threatening the world economy in the Strait of Hormuz? The Law of the Sea Treaty (LOST) will help solve this. China is threatening the Philippines in the South China Sea? LOST is a crucial tool to prevent war. Russia is claiming land in the Arctic region to extract natural resources? LOST will put the screws to Moscow. These international controversies will be magically resolved if only the Senate ratifies the convention. If this sounds too good to be true, it is. It is not clear the treaty would do much at all to alleviate these flashpoints. Especially since the two most important potential antagonists, China and Russia, already have ratified LOST. And it is certainly not the best option policy-wise for the United States with each issue: Iran’s bluster in the Strait of Hormuz may prove its weakness. U.S. policy in the South China Sea suffers from a far more serious flaw: encouraging free-riding by allied states. Russia’s move into the Arctic has nothing to do with Washington’s absence from LOST. The treaty itself, not substantially altered since 1994, is still plagued by the same problems that have halted its ratification for decades. Primarily, it will cede decisionmaking on seabed and maritime issues to a large, complex, unwieldy bureaucracy that will be funded heavily by—wait for it—the Untied States. On national security, the U.S. Navy does not need such a treaty to operate freely. Its power relative to all other navies is the ultimate guarantee. Serious maritime challengers do not exist today. Russia’s navy is a rusted relic; China has yet to develop capabilities that come close to matching ours. Moreover, it is doubtful that the United States needs to defend countries such as the Philippines when flashpoints over islands in the region affect no vital American interests. All in all, the LOST remains captive to its collectivist and redistributionist origins. It is a bad agreement, one that cannot be fixed without abandoning its philosophical presupposition that the seabed is the common heritage of the world’s politicians and their agents, the Authority and Enterprise. The issue is not just abstract philosophical principle, but very real American interests, including national security. For these reasons, the Senate should reject the treaty. For instance, the bureaucrats at the Organization for Economic Cooperation and Development threatened to have me thrown in a Mexican jail for the horrible crime of standing in the public lobby of a hotel and giving advice to low-tax jurisdictions. On a more amusing note, my efforts to defend tax havens made me the beneficiary of grade inflation and I was listed as the 244th most important person in the world of global finance — even higher than George Soros and Paul Krugman. But if that makes it seem as if the battle is full of drama and (exaggerated) glory, that would be a gross exaggeration. More than 99 percent of my time on this issue is consumed by the difficult task of trying to convince policymakers that tax competition, fiscal sovereignty, and financial privacy should be celebrated rather than persecuted. As I’ve already explained in a post about a certain senator from North Dakota, a company’s home is merely the place where it is chartered for legal purposes. A firm’s legal domicile has nothing to do with where it does business or where it is headquartered. In other words, there is nothing nefarious about Ugland House, just as there is nothing wrong with the small building in Delaware that is home to more than 200,000 companies. President Obama, by the way, demagogued about Ugland House during the 2008 campaign. Jews in North Africa and the Middle East? Persecuted ethnic Chinese in Indonesia and the Philippines? Political dissidents in places such as Russia and Venezuela? Entrepreneurs in regimes such as Venezuela and Zimbabwe? Families threatened by kidnapping failed states such as Mexico? Homosexuals in homophobic regimes such as Iran? As this video explains, there are billions of people around the world who are subject to state-sanctioned (or at least state-permitted) religious, ethnic, racial, political, sexual, and economic persecution. These people are especially likely to be targeted if they have any money, so the ability to invest their assets offshore and keep that information hidden from venal governments can, in some cases, be a life-or-death matter. The moral case against is clear enough. Tax havens epitomise unfairness, cheating and injustice. But if he is against unfairness, cheating, and injustice, why does he want to empower the institution — government — that is the largest source of oppression in the world? To be fair, Vallely does attempt to address the other side of the argument. Apologists insist that tax havens protect individual liberty. They promote the accumulation of capital, fair competition between nations and better tax law elsewhere in the world. They also foster economic growth. …Yet even if all that were true – and it is not – does it outweigh the ethical harm they do? The numbered bank accounts of tax havens are notoriously sanctuaries for the spoils of theft, fraud, bribery, terrorism, drug-dealing, illegal betting, money-laundering and plunder by Arab despots such as Gaddafi, Mubarak and Ben Ali, all of whom had Swiss accounts frozen. He can’t resist trying to discredit the economic argument by resorting to more demagoguery, asserting that tax havens are shadowy regimes. Not surprisingly, Vallely offers no supporting data. Moreover, you won’t be surprised to learn that the real-world evidence directly contradicts what he wrote: the most comprehensive analysis of dirty money finds 28 problem jurisdictions, and only one could be considered a tax haven. Last but not least, the author addresses the issue that really motivates the left: the potential loss of access to other people’s money, funds that they want the government to confiscate and redistribute. Christian Aid reckons that tax dodging costs developing countries at least $160bn a year — far more than they receive in aid. The US research centre Integrity estimated that more than $1.2trn drained out of poor countries illicitly in 2008 alone. 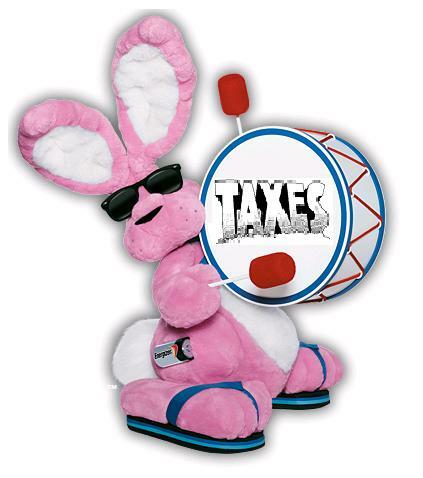 …Some say an attack on tax havens is an attack on wealth creation. It is no such thing. It is a demand for the good functioning of capitalism, balancing the demands of efficiency and of justice, and placing a value on social harmony. There are several problems with this passage, including Vallely’s confusion of tax evasion with tax avoidance. But the key point is that the burden of government spending in most nations is now at record levels, undermining prosperity and reducing growth. Why add more fuel to the fire by giving politicians even more money to waste? Developed nations from Japan to America are desperate for growth, but this tiny lake-filled Swiss canton is wrestling with a different problem: too much of it. Zug’s history of rock-bottom tax rates, for individuals and corporations alike, has brought it an A-list of multinational businesses. Luxury shops abound, government coffers are flush, and there are so many jobs that employers sometimes have a hard time finding people to fill them. Here’s some more evidence of how better fiscal policy promotes prosperity. This is economic data, to be sure, but isn’t the choice between growth and stagnation also a moral issue? …[B]usinesses moved in, many establishing regional headquarters. Over the past decade, the number of companies with operations of some sort in the canton jumped to 30,000 from 19,000. The number of jobs in Zug rose 20% in six years, driven by the economic boom and foreign companies’ efforts to minimize their taxes. At a time when the unemployment rate in the European Union (to which Switzerland doesn’t belong) is 9.4%, Zug’s is 1.9%. …Zug has largely stopped trying to lure more multinationals, according to Mr. Michel. [T]he Swiss are mostly holding fast to their fiscal beliefs. Last November, in a national referendum, they overwhelmingly rejected a proposal that would have established a minimum 22% tax rate on incomes over 250,000 francs, or about $315,000. Indeed, the anti-tax haven campaign continues to gain steam. At a recent OECD meeting, high-tax nations (with the support of the Obama administration) put in place a bureaucratic monstrosity that is likely to become a world tax organization. If that’s a moral outcome, then I want to be amoral.